Dunkineely fiddle player, Aidan O’Donnell, will perform as part of the Donegal Fiddlers Gathering Concert, at the Highlands Hotel, Glenties, this Saturday night, at 9.00pm. The highlight of the annual Donegal Fiddlers Glenties Gathering - the Donegal Fiddlers Concert - takes place this Saturday, October 6th. , at The Highlands Hotel, from 9.00pm. This year, the spotlight will be firmly on the younger generation of players and will feature performances by Aidan O’Donnell, Doireann Glackin, Sinéad and Catríona Kennedy and a very special guest from Scotland, Archie McAllister. 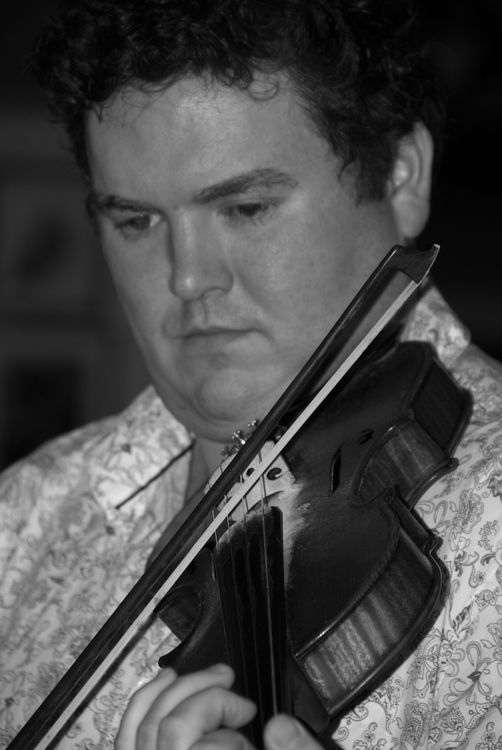 Aidan O’Donnell hails from Dunkineely and is one of Donegal’s best known fiddle players. He has a number of highly acclaimed recordings to his credit and is a member of the well known Donegal fiddle trio, Fidil. He won the TG4 Young Musician of the Year award in 2010. Doireann Glackin is a member of the well known fiddle playing Glackin family of Dublin. Her father Kevin, and his brothers Paddy and Seamus, are familiar to Donegal fiddle music fans. Sinéad and Catríona Kennedy were brought up Co. Meath and have been playing music since childhood. They are very familiar with the music of South West Donegal, the home place of both their parents. Archie McAllister hails from Campbelltown on the edge of the Kintyre Penninsula. He is widely known throughout Scotland having played with a variety of traditional bands and dance bands over the years. He was the featured solo performer at last year’s prestiguous Neil Gow Fiddle Festival in Dunkeld.